So there you are, flying around the galaxy in your spacecraft and you have a horribly wobbly control panel. Obviously you’d do anything to stop it from wobbling because, come on, that’s super annoying. Against all odds, you come across the perfect item to fix your problems. Why would you give it up? Who cares if it’s a “holy relic” of some other galactic race. Well, as it usually happens with stolen religious artifacts, someone always wants theirs back. And so the battle between the Star Vikings and the space slugs commences. Who says war needs to stay classy? First and fore-most Star Vikings is a puzzler game. 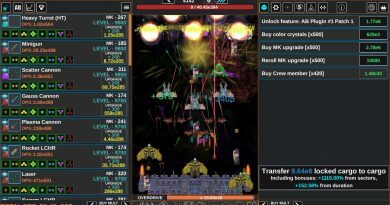 It’s heavy on the strategy and a lot of pre-planning with some strategic choices to be made before you hop into battle as well. Luckily, as far as I’ve made it, there has no time limit that I’ve encountered so there’s nothing putting too much pressure on you other than your own sense of urgency. This is a good thing, this game could take a serious down-turn had they added the extra pressure. That’s not too say that everything is peachy here, but let’s dig into the meat of Star Vikings. I need to switch up my order, it’s not doing me enough favors as it stands. I’ll think I’ll put the tank in the middle so he can shove everybody out of the way… I’m gonna need a bigger energy supply though. 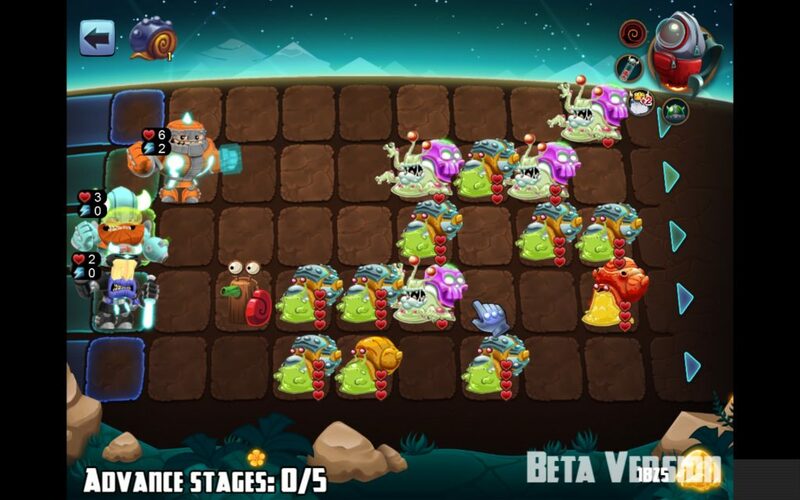 While Star Vikings is primarily a puzzle game there are RPG elements to be found here too. Leveling up your characters is fairly satisfying. It also borders on necessary. Rarely in any RPG is leveling not important, but here the game can get rough with you rather quick. You’ll need to grind levels rather soon in the game. They mention that the game is a few hours long, but I wonder if that’s considering the fact that you’ll have to play some levels over and over again simply to level up and get the upgrades to your skills that help you progress further. (At least I needed to.) Newer moves do help, gaining a point of health and the ability to use your special moves one more time are all very nice, but there is one more thing that stands out that you’ll need to progress. You may need a bit of this when playing the game if patience isn’t your strong suit. It can be tough, but simply keep attacking those puzzles! Luck. Luck will determine how far you go at times or if you’ll be able to defeat a level. Depending on the positioning of your units and how the RNG places pieces on the board will determine if this is a puzzle to either be played to get a better feel for the game and see how far you can go before you lose. My cohort was backseat gaming the other day and asked if there is always a way to beat a level. I had to tell him no. 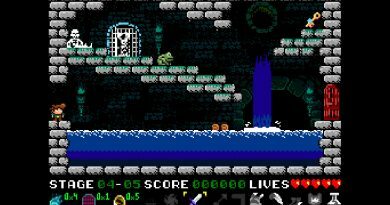 If the level puts certain enemies down in specific order and your characters are in a bad position, one of your mates will be left to die no matter what. Beating some levels is incredibly difficult with only two characters. Time to upgrade! Some seriously tough choices here. I’m not sure I regret where I’ve taken the guys yet. I think I might try to beef up the main damage next time and utilize the abilities as more functional than a base strategy. 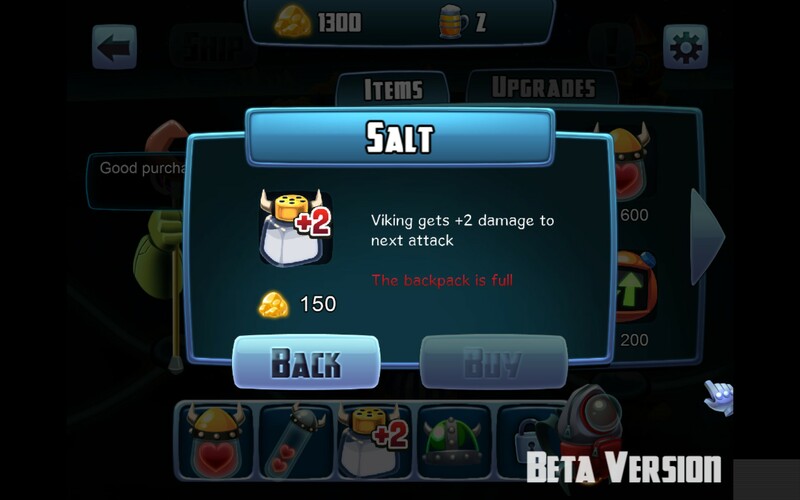 Take Star Vikings as a challenge game and this will be better received. If you come into this thinking it’s a puzzler like a lot of other puzzle games you might come away frustrated. 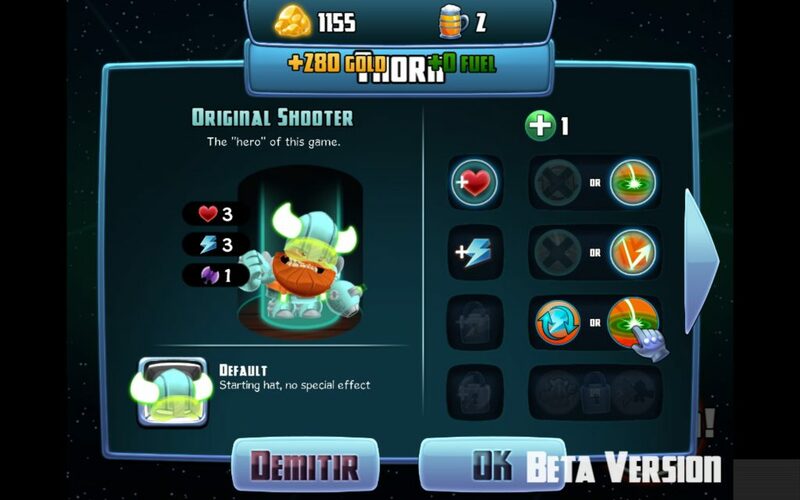 Think of Star Vikings as coming at you and daring you to try to defeat what it has thrown at you rather than some preset levels that you can easily defeat. With every additional attempt at a level you’ll meet a different setup of baddies. Have at you player! Are you up for the challenge?